When my friends and I get together we are always trying to find something new and fun to do and the day I had an idea and all I said was eggs, we need eggs, they looked at me like I was crazy. But this project ended up being super fun for all of us to do. It is a cute homemade gift or something crafty to keep for yourself. 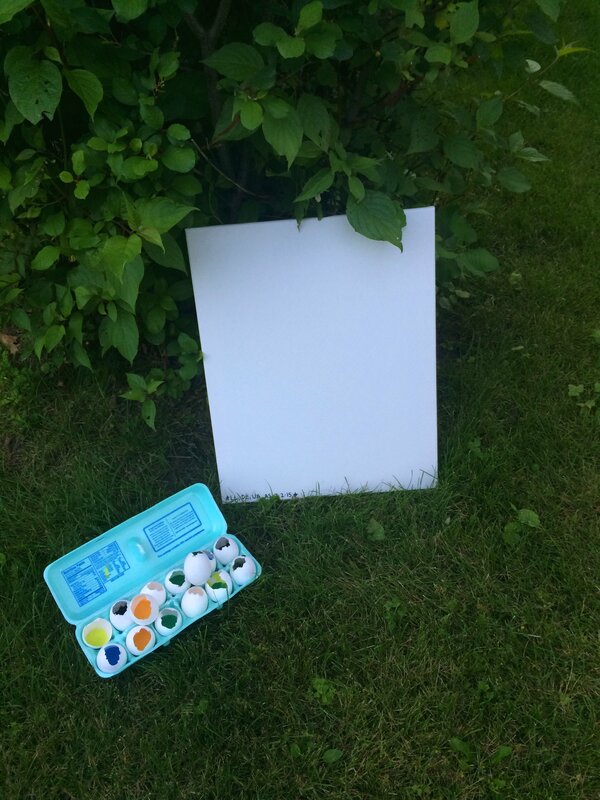 The egg canvas painting sounds weird and messy at first, but it is super fun and not so messy at all. Step 1: The Eggshells. Be careful when you are cracking the eggs so that it is not more than just the top that is cracked off (its okay if it is more just not half of the eggshell can be gone). Try to keep the carton too when you get all the eggshells cracked because it is a great thing to put them in when they are full of paint. Step 2: The Paint. 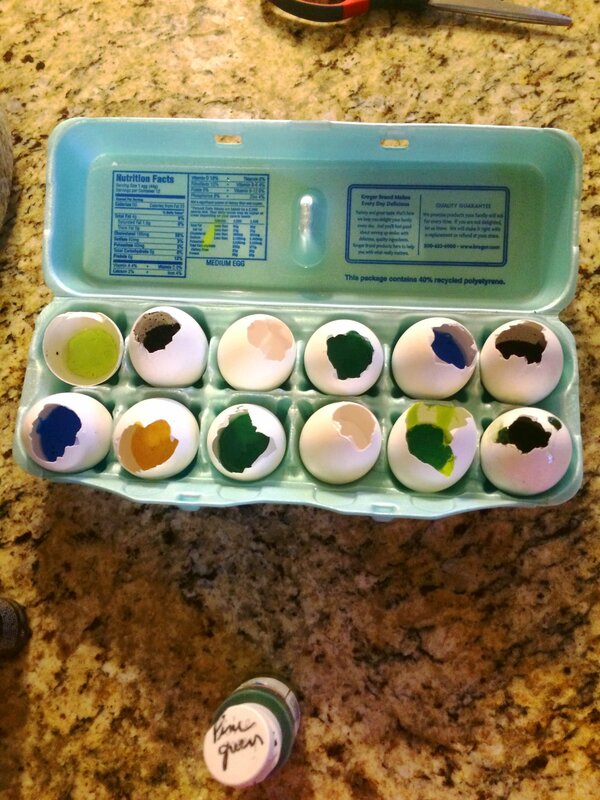 Fill the eggshells about halfway with the acrylic paint and place upward in the empty egg carton. Step 3. The Tissue Paper. 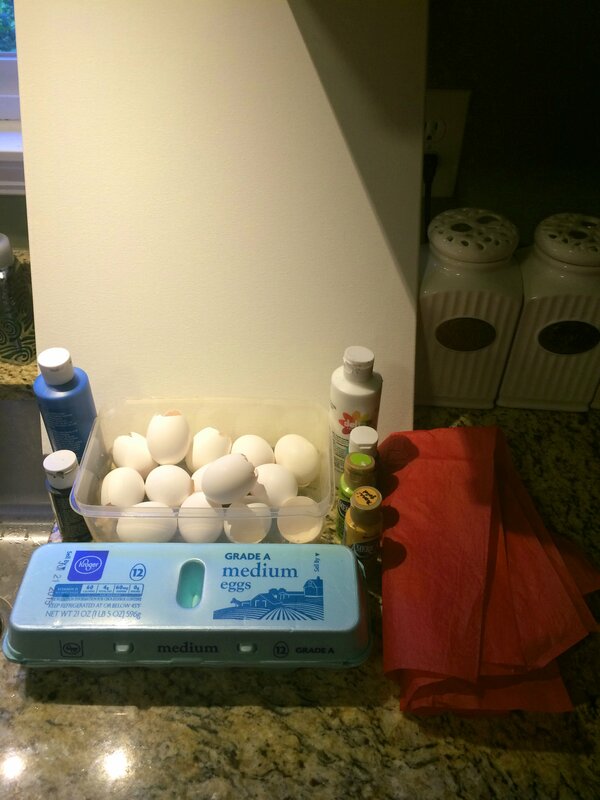 The tissue paper is if you want to cut a piece and put it on top of the paint filled eggshells. It is good if you want to make it the least messy as possible, especially if little ones are taking part in the craft. My friends and I decided against the tissue paper but below is a picture of what it looks with tissue paper over it. Step 4. Throwing the Eggshells. 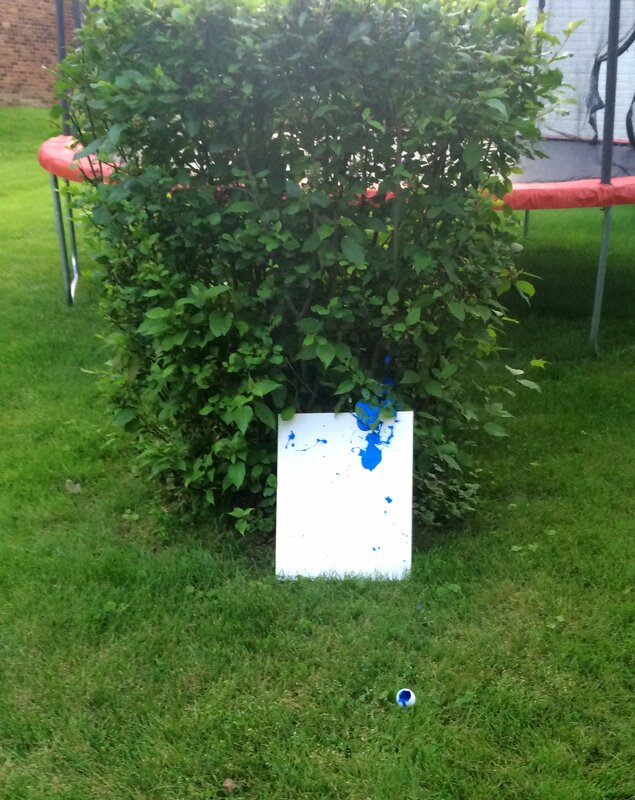 We took the canvas outside and put it against a tree. after we threw it the first time we realized it would work a lot better if we put something hard directly behind it, like a wooden slat. 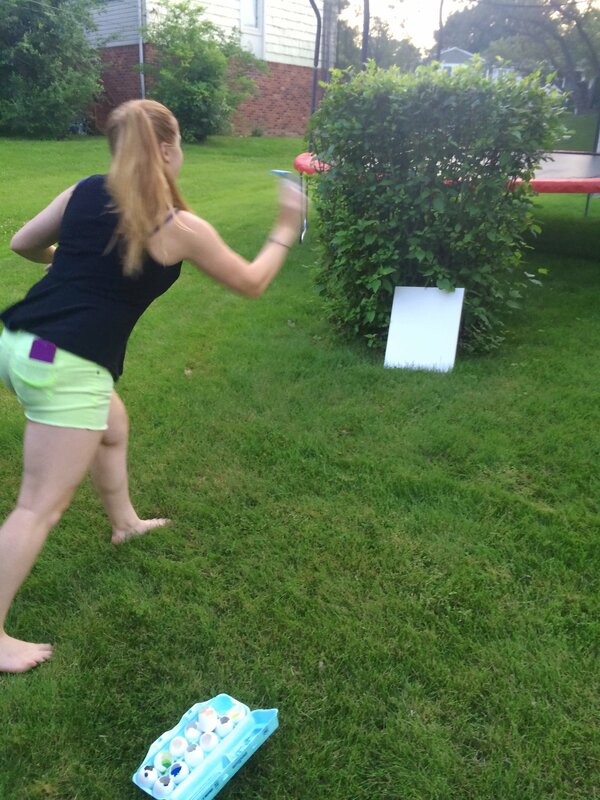 We didn’t have one so we opted to throw closer and harder. After everything is set up outside, the next thing to do it throw them. It was actually a lot of fun. After you are done you get a really cool, unique painting. My friends and I are 18,19, and 20. We had a lot of fun with this and I cant imagine how much fun little ones would have. Fun for all ages, creative, and unique. The perfect craft for any day.